What if . . . no one knows the truth about you? It's been thirteen years since Kaylee's biological mother, Crystal, once infamous for her supposed telekinetic ability, got a life sentence for killing Kaylee's little brother in a fit of telekinetic rage. Today, Kaylee's living a normal life with her adoptive parents and almost never thinks of Crystal. Until a woman shows up on Kaylee's doorstep, asking to interview her for a podcast about her mother. Was the whole telekinesis thing a hoax, or does Crystal have some kind of special powers? Is it possible that Kaylee has them, too? It would certainly explain some of the stranger things that have happened to her over the years. What if . . . she did the interview? Met her mother for the first time since the trial? Can her mother prove she can make things happen with her mind? Can Kaylee do the same? And what if she has been doing it, all along? As the podcast begins airing, everyone in Kaylee's life--everyone in the country--is hearing this dark history and asking questions that even Kaylee has never dared ask herself. 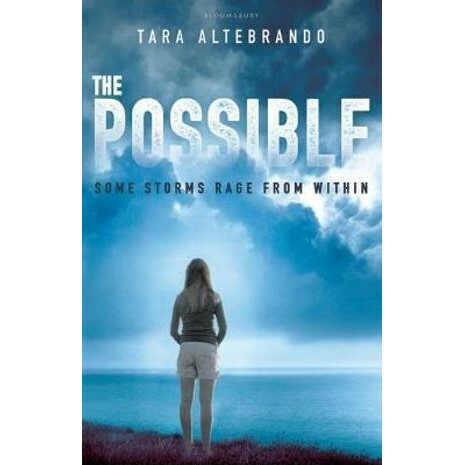 The Possible is a twisty, surprising story, and an exploration of the power of our own minds, the power of will, and how our histories define us . . . or not.